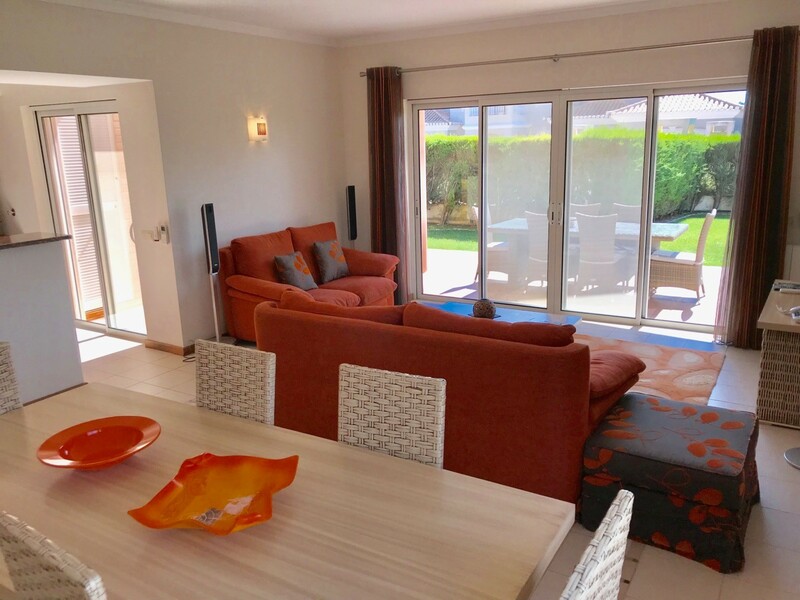 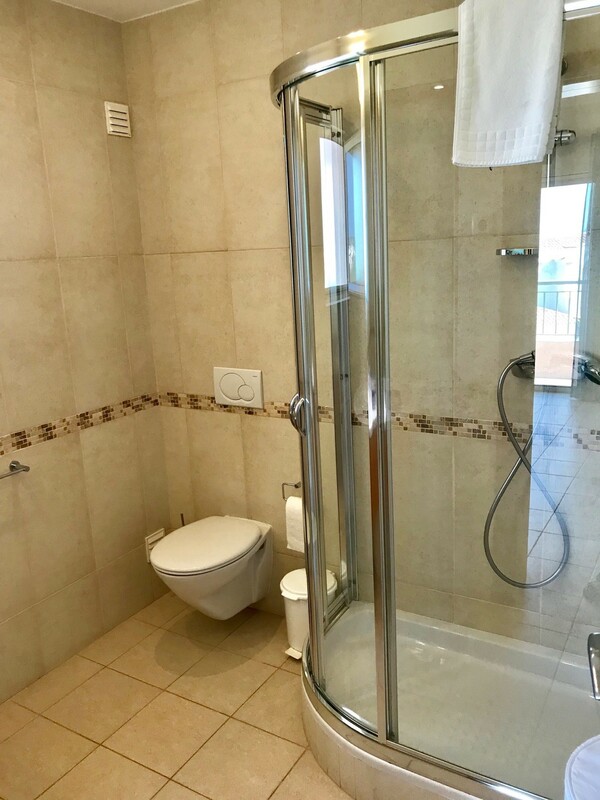 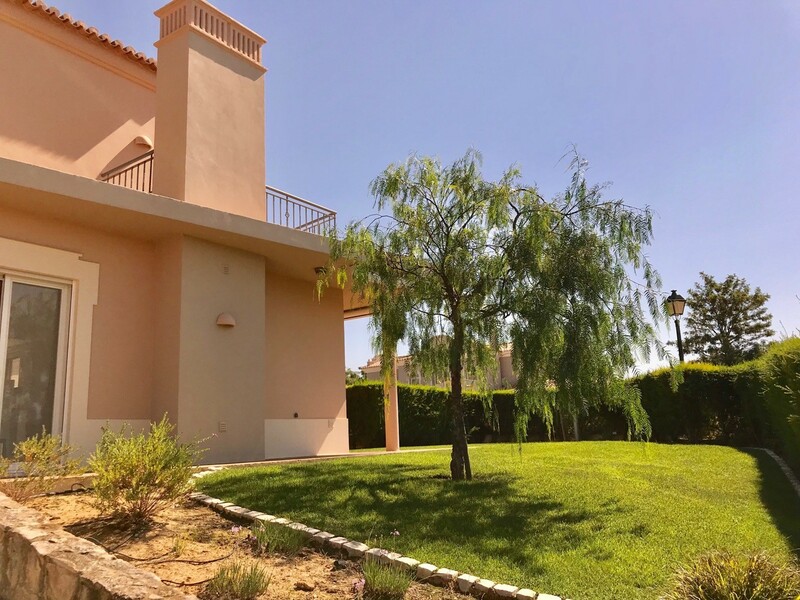 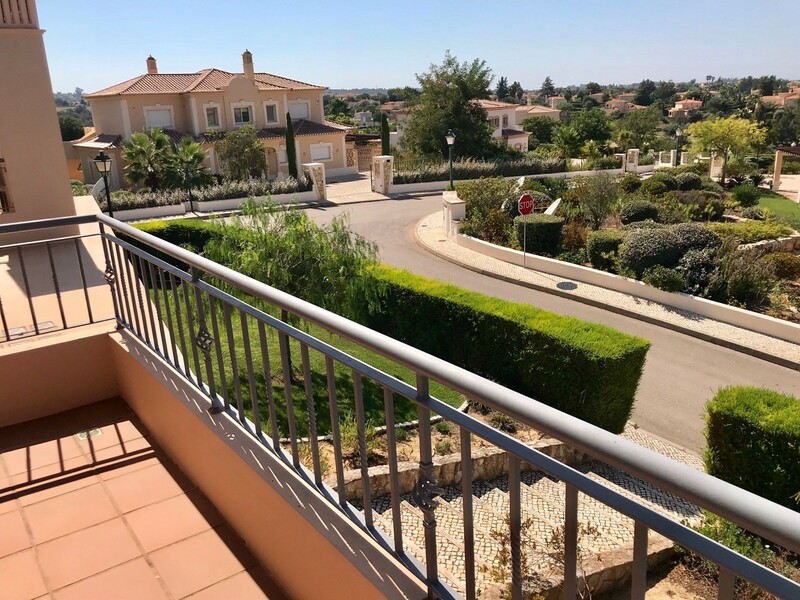 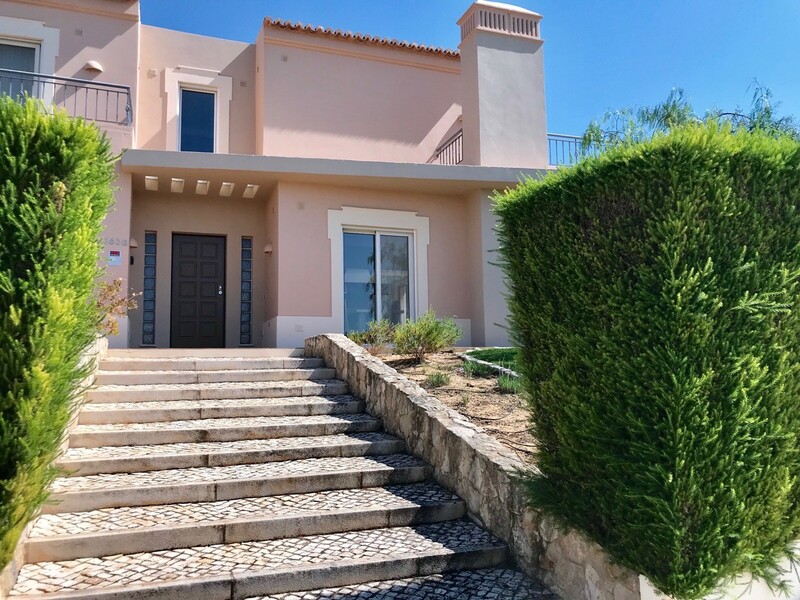 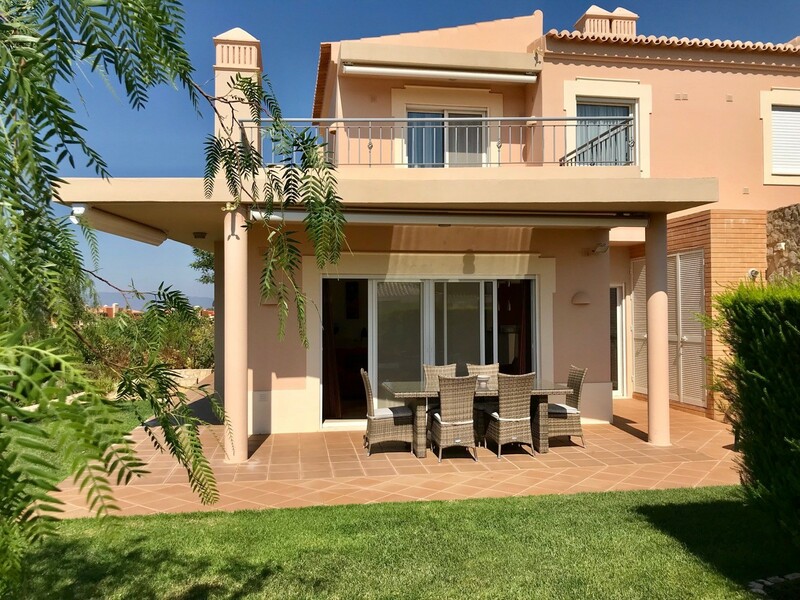 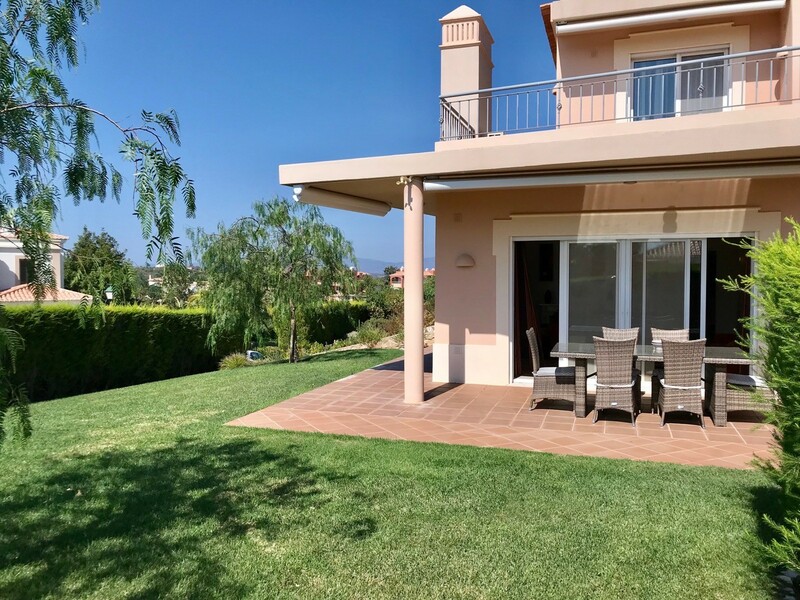 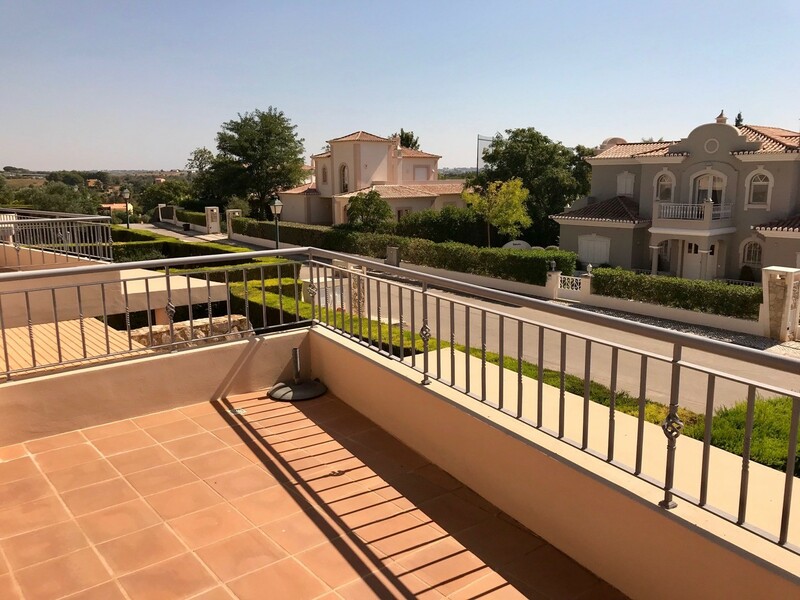 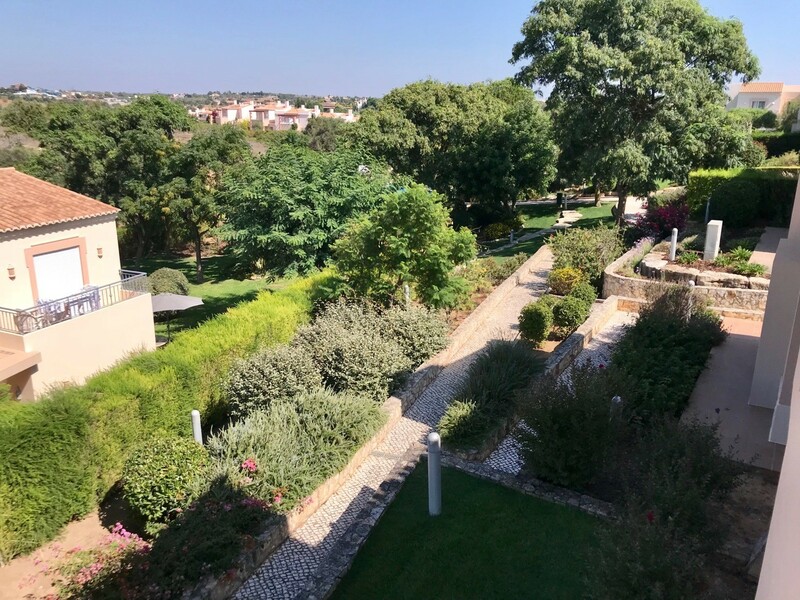 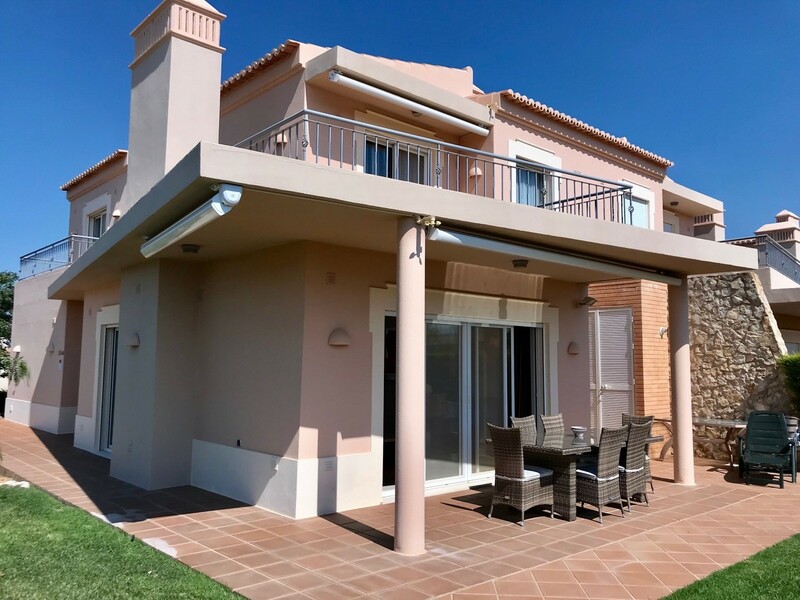 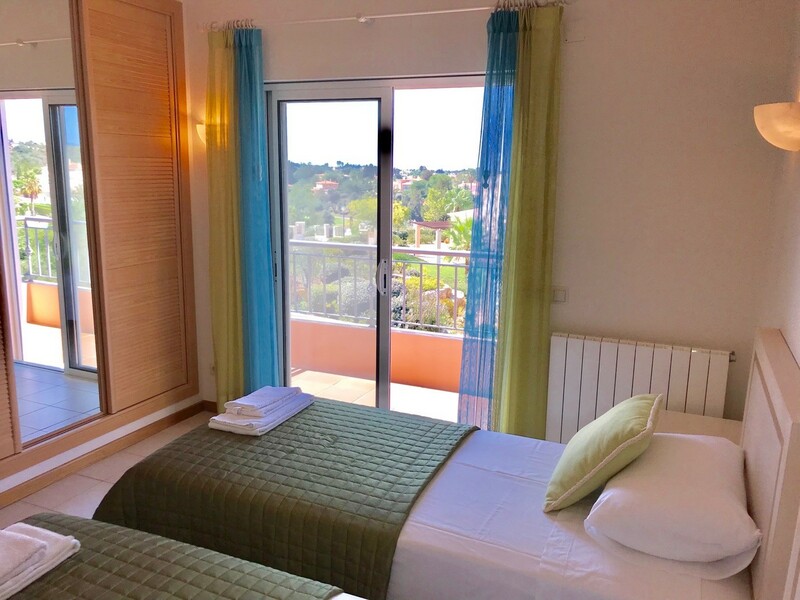 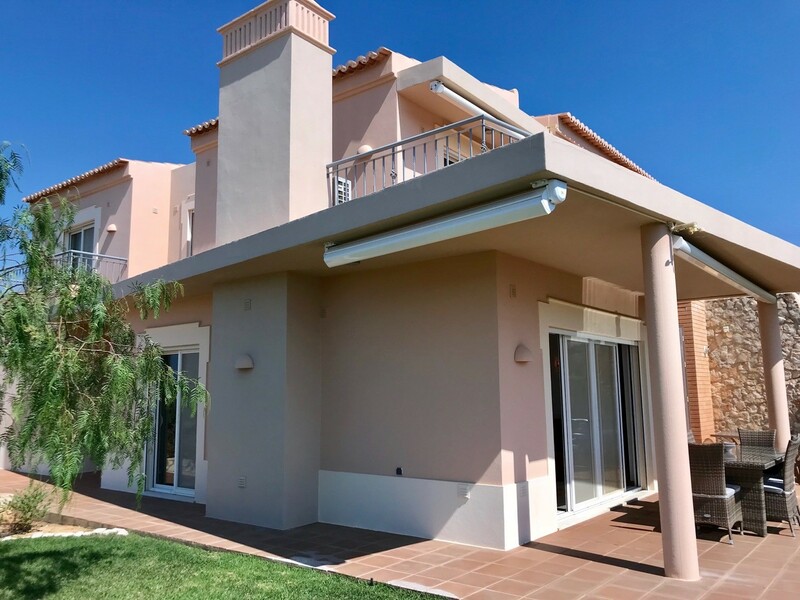 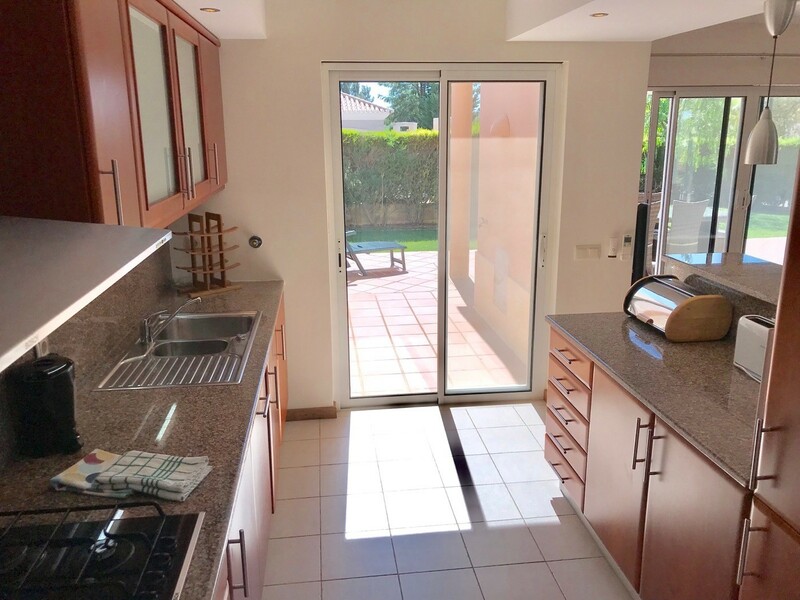 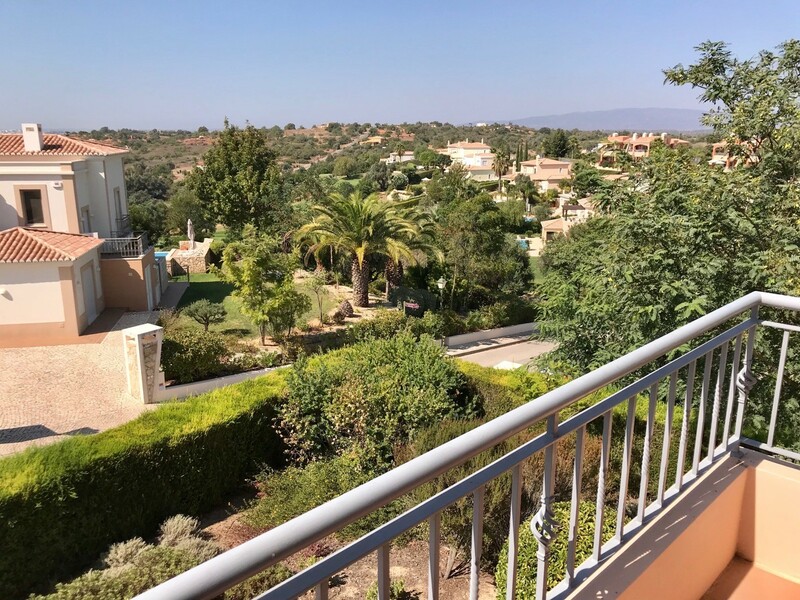 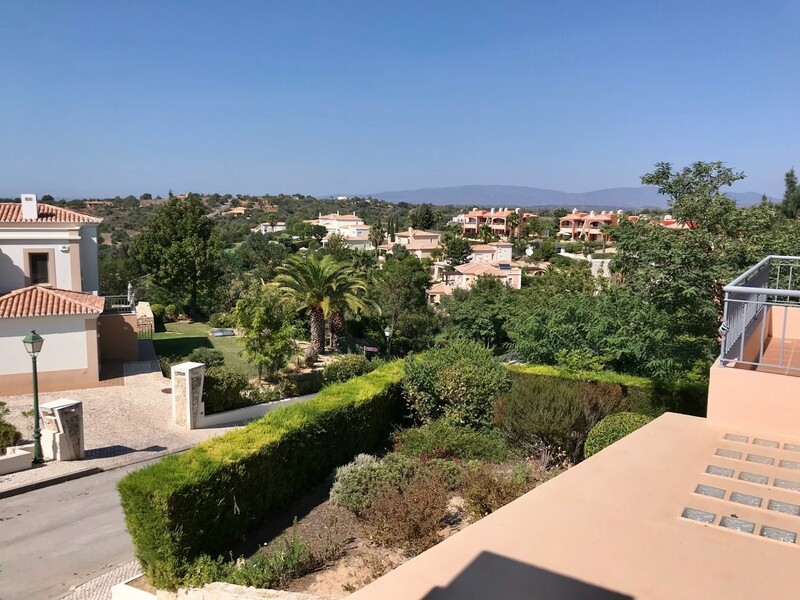 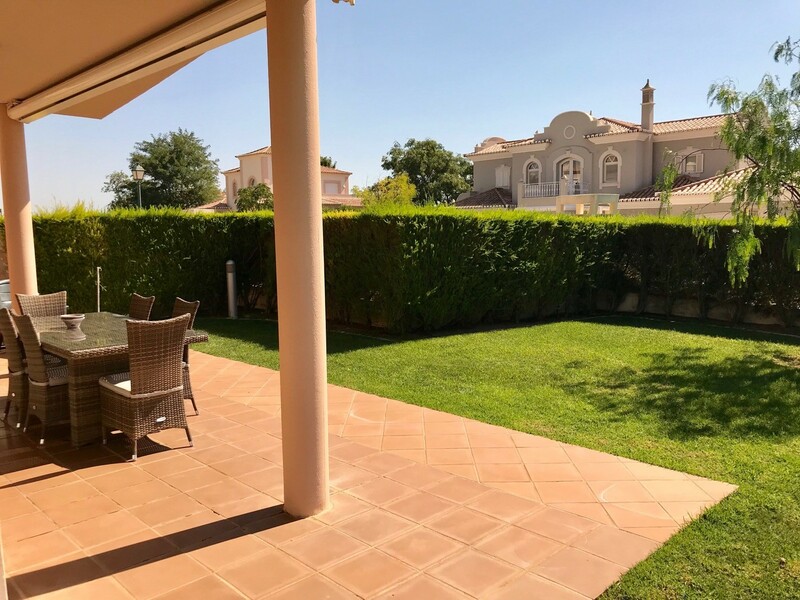 Casa Geraldine (Vale da Pinta 263A) is a beautiful new luxury apartment situated overlooking the 7th hole of the prestigious Pestana Vale da Pinta golf course with far reaching views towards Portimao. 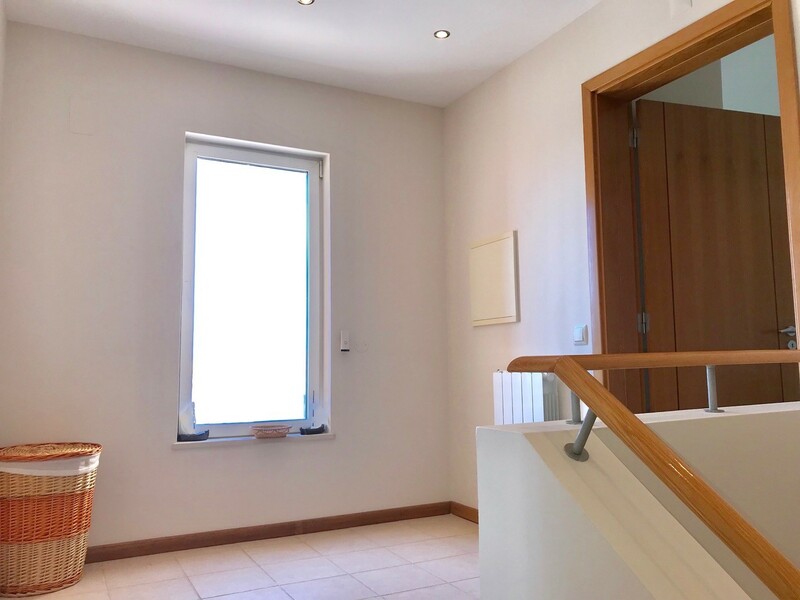 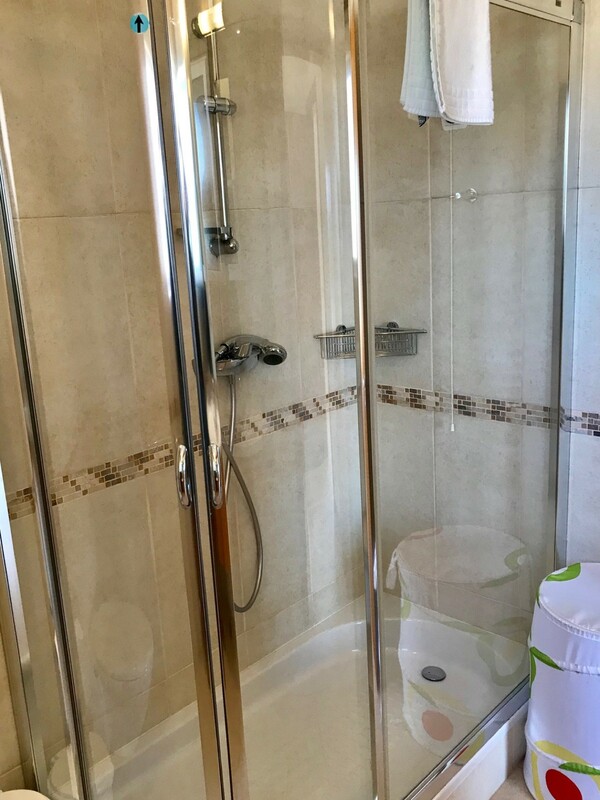 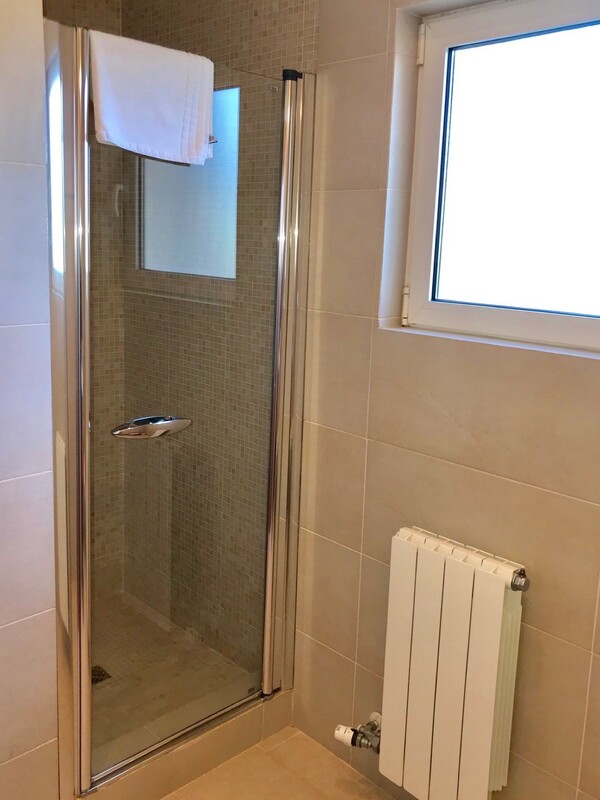 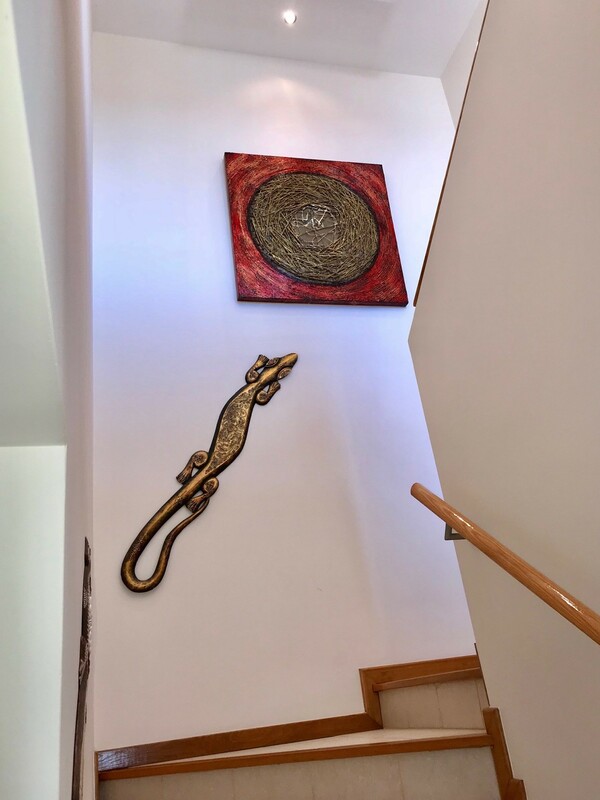 The condo is part of a new development and has been completed to the highest standards with quality modern furnishings and benefits from the afternoon and evening sun. 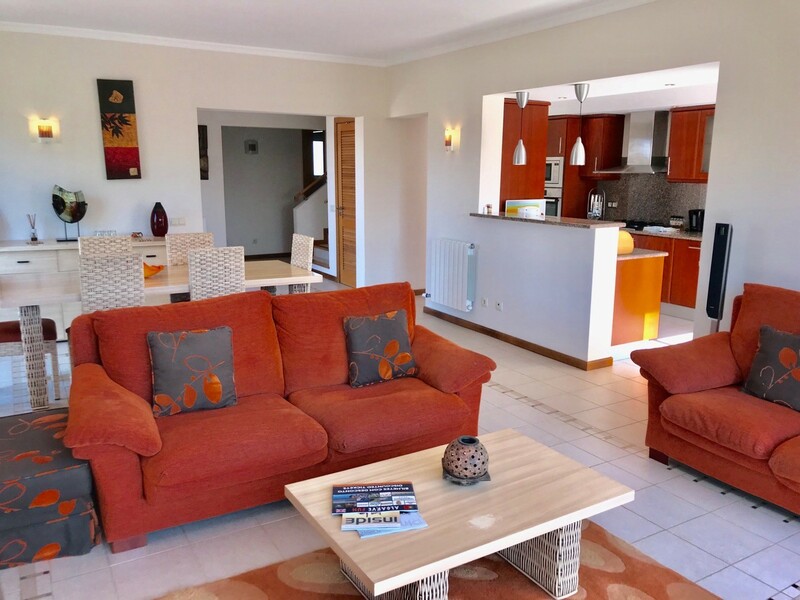 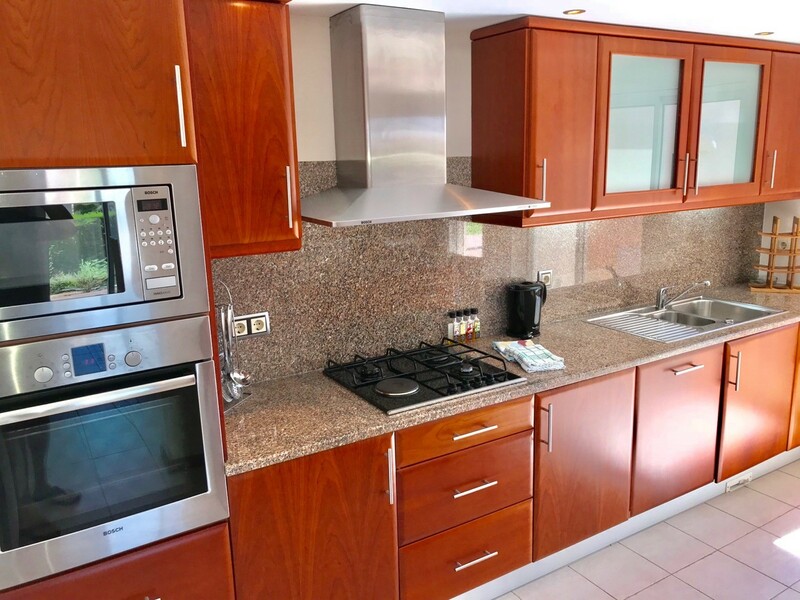 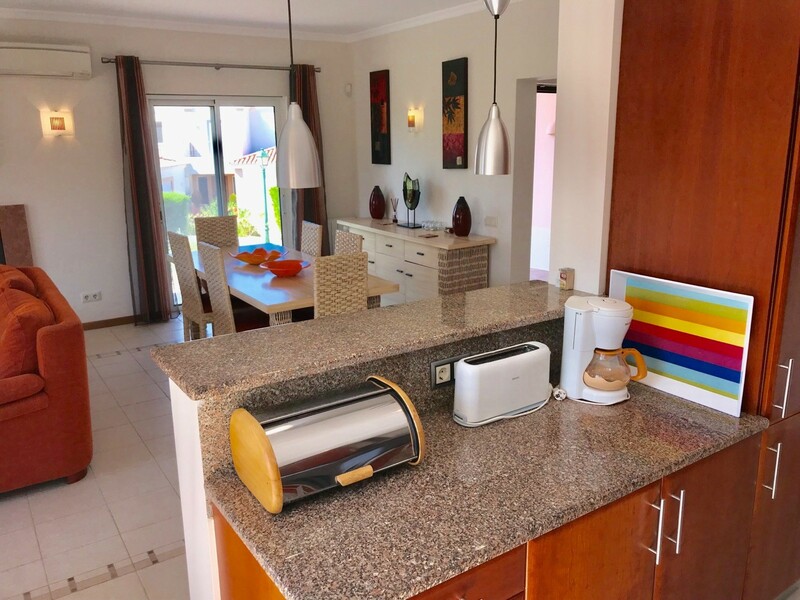 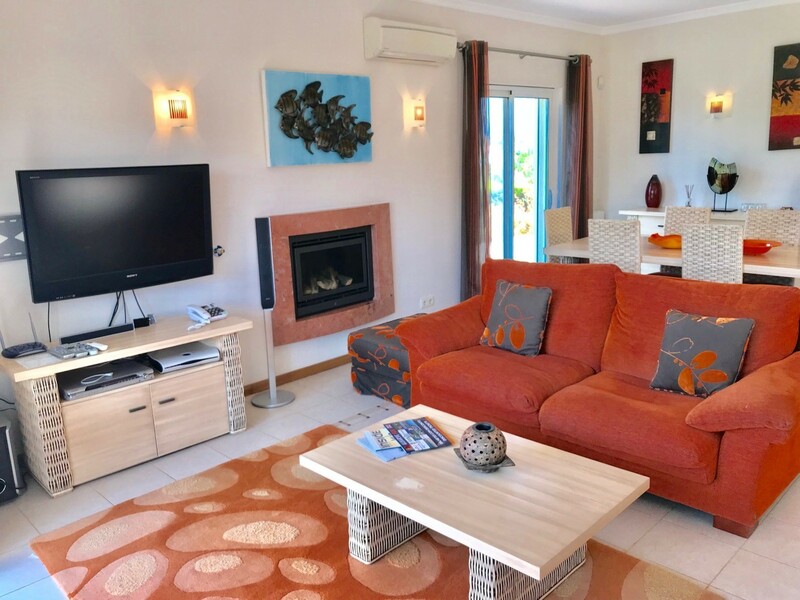 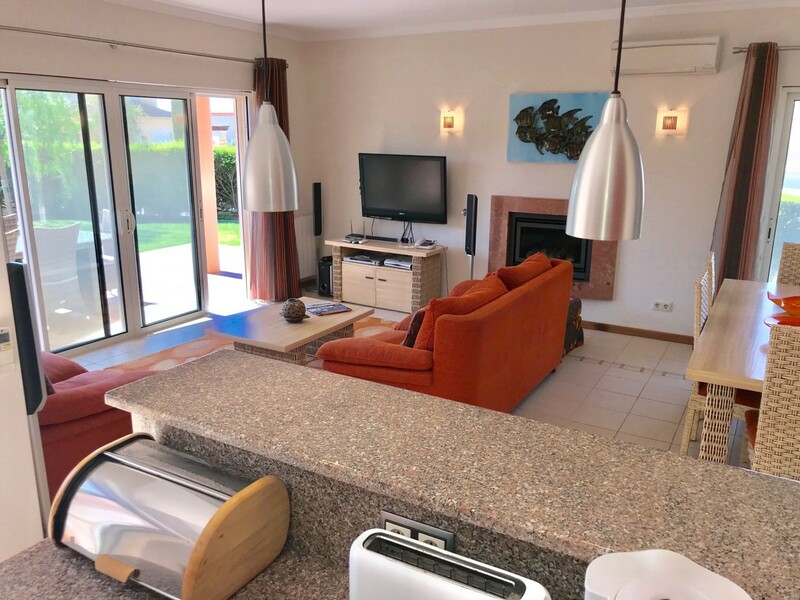 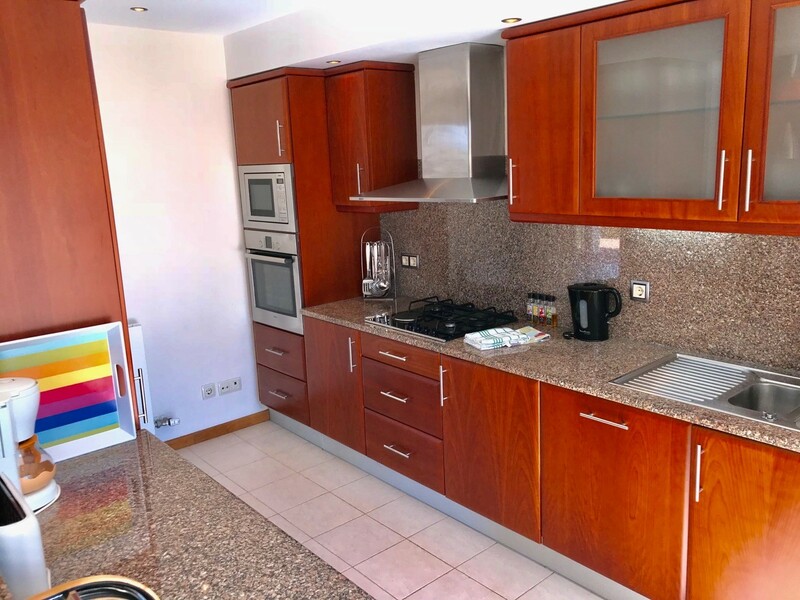 The apartment is fully fitted with all that you could need for a luxury holiday. 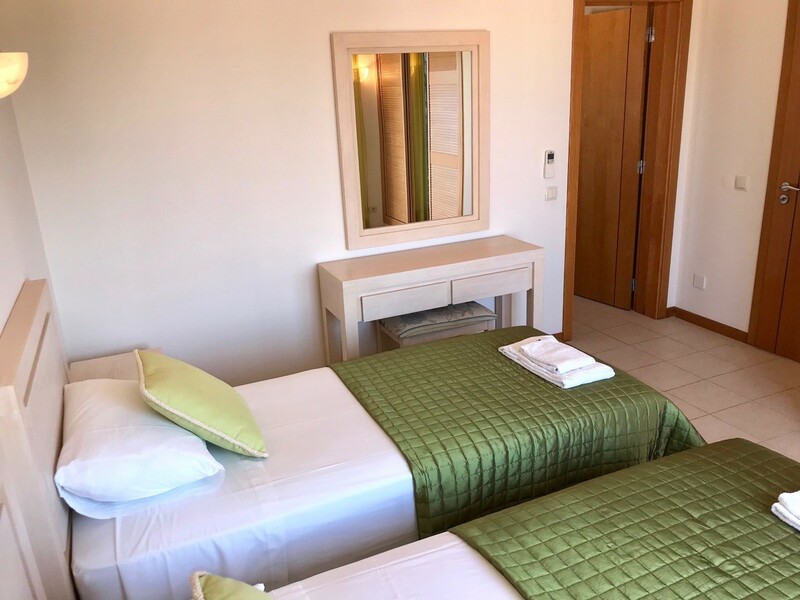 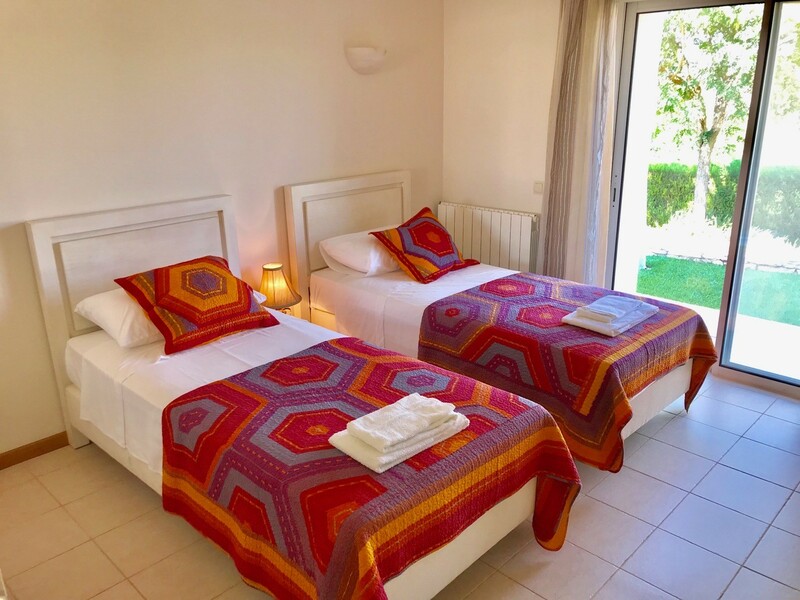 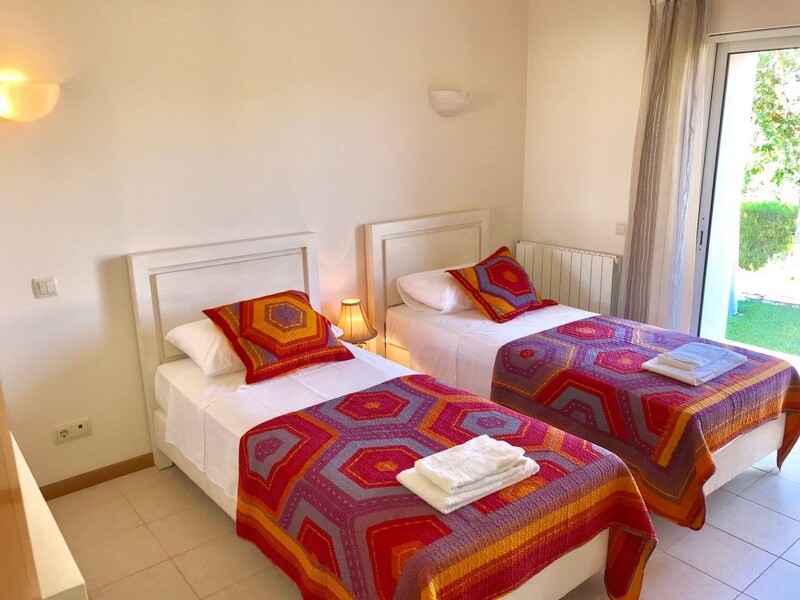 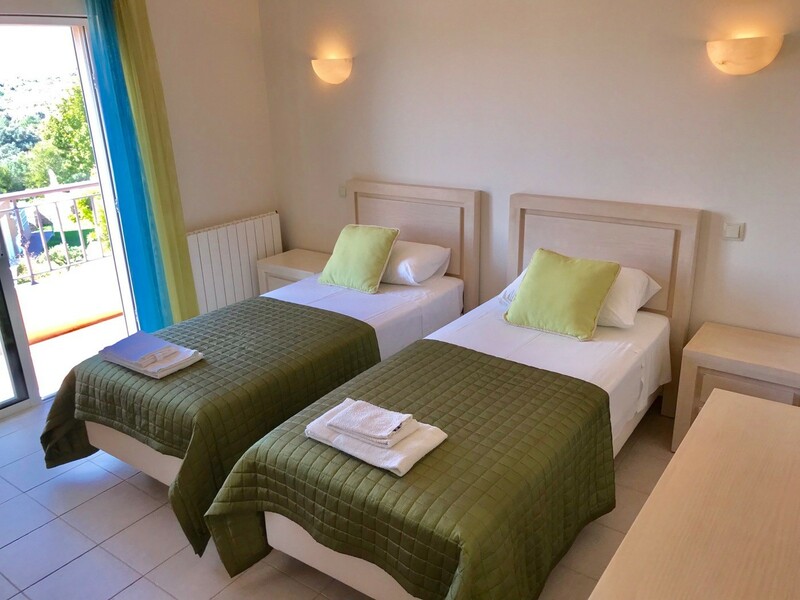 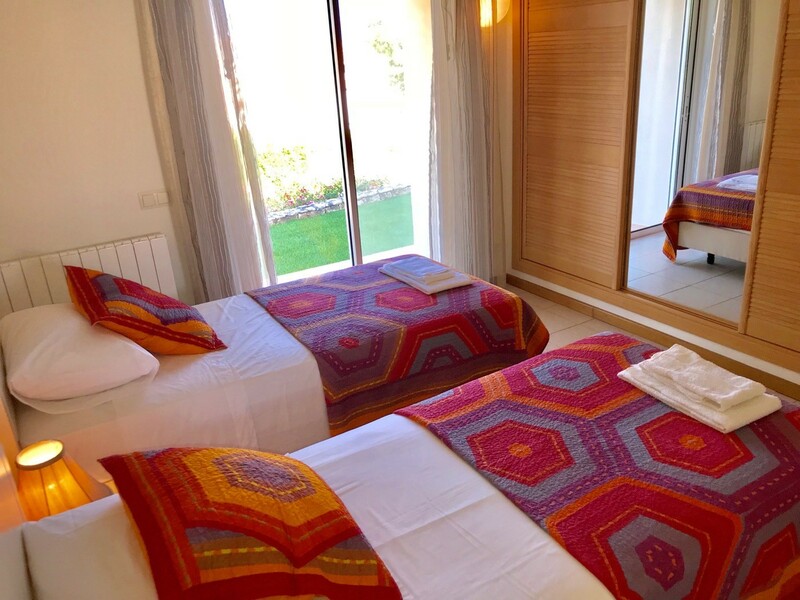 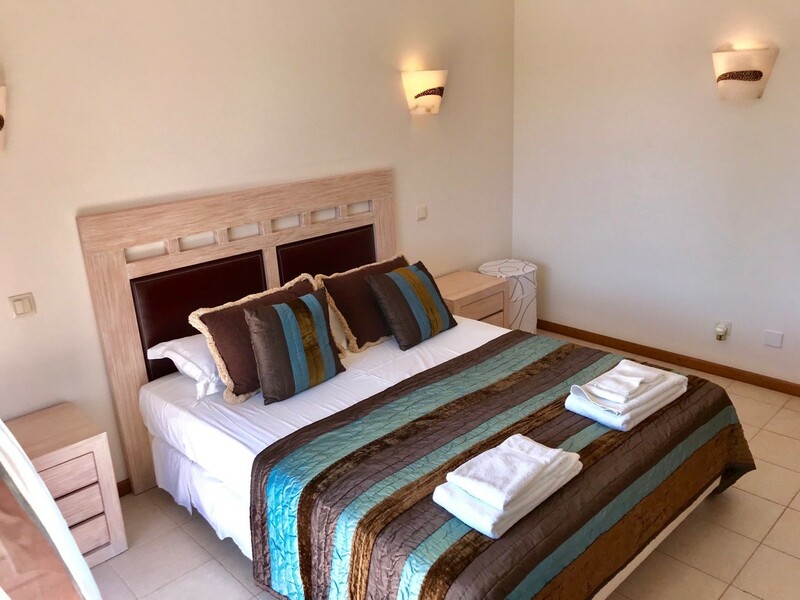 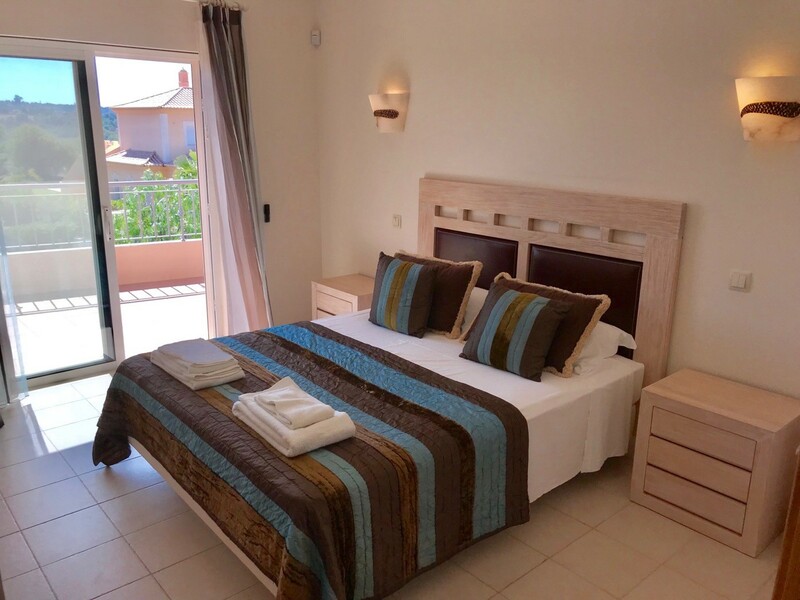 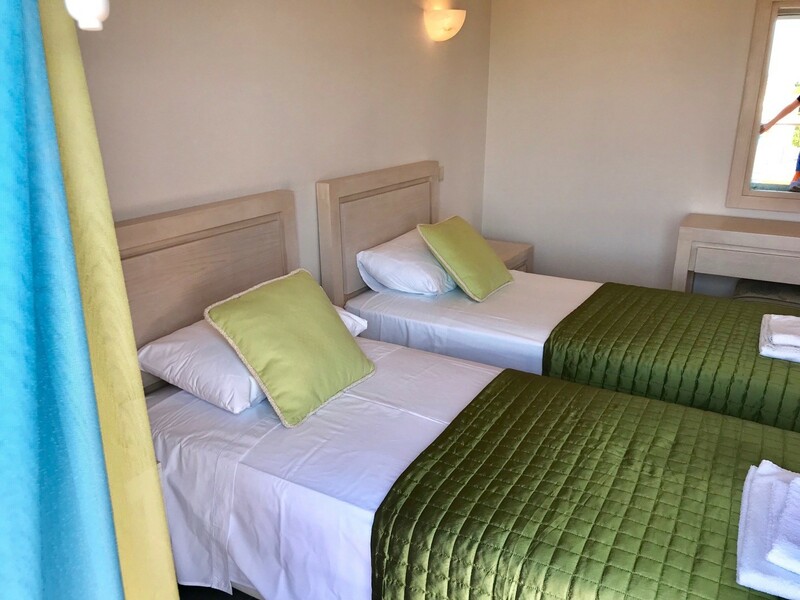 There are 3 air-conditioned bedrooms, the master bedroom has a double bed and the two other bedrooms have twin beds. 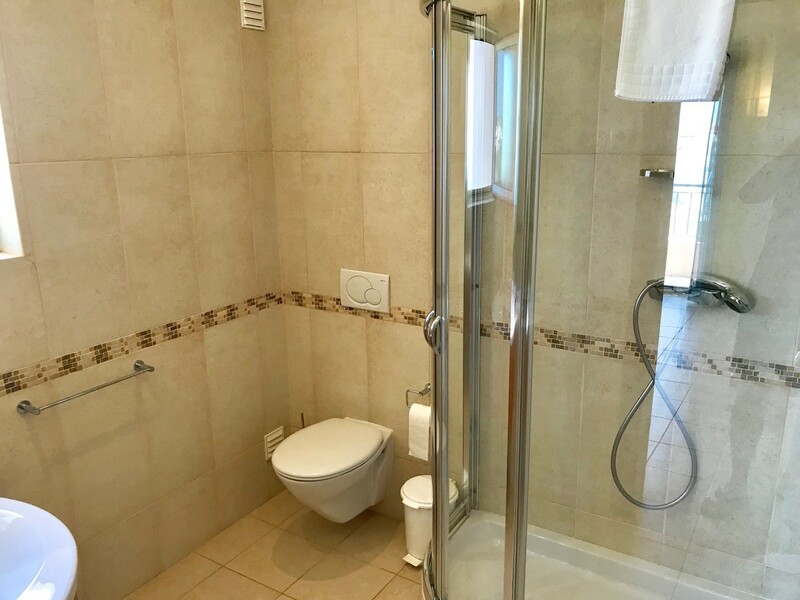 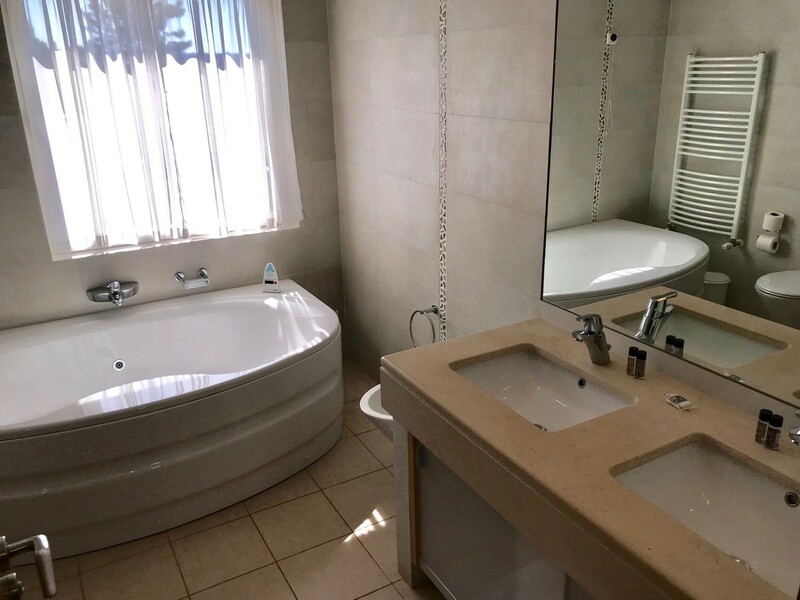 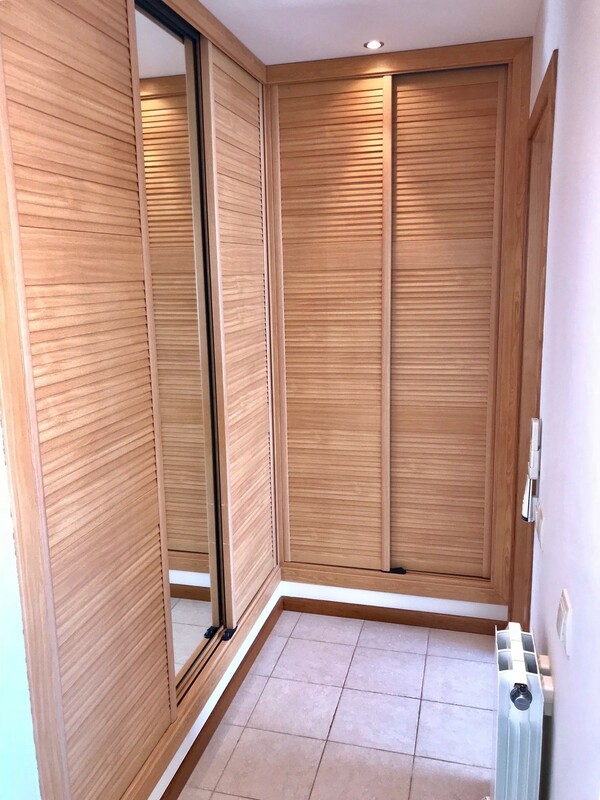 All 3 rooms are ensuite. 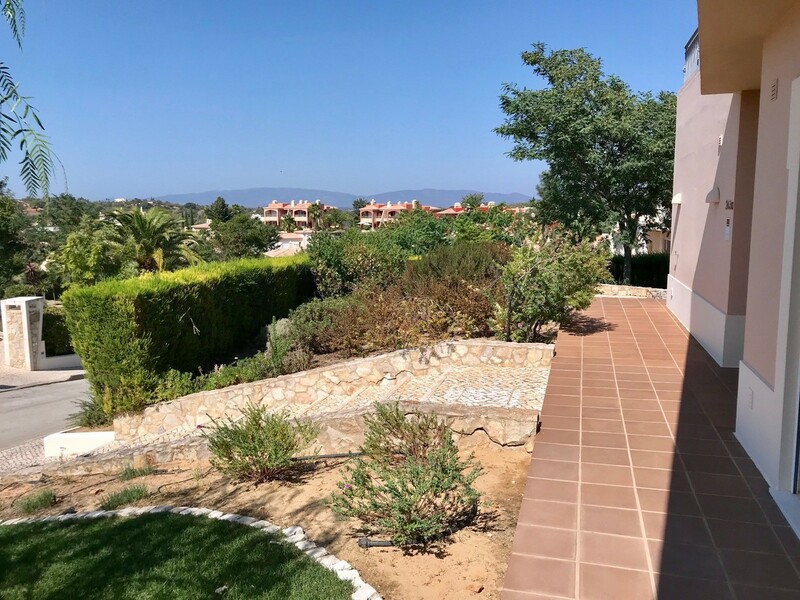 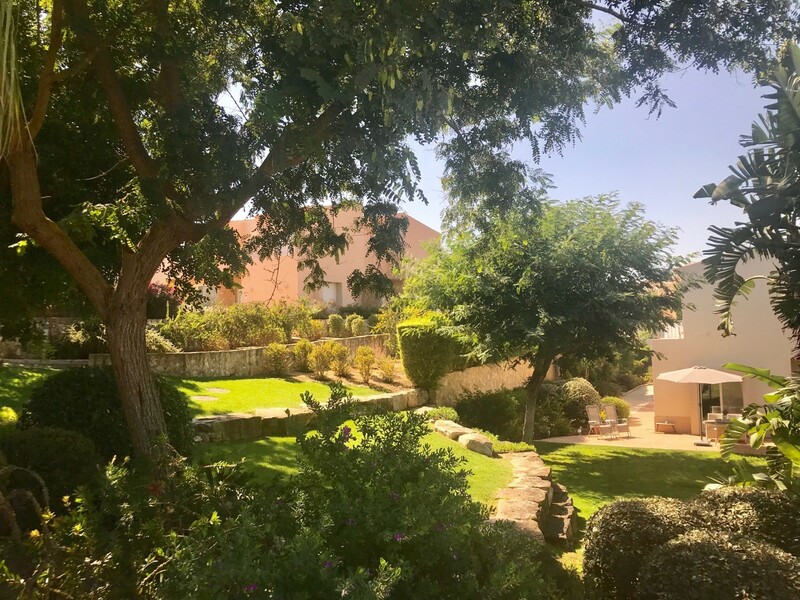 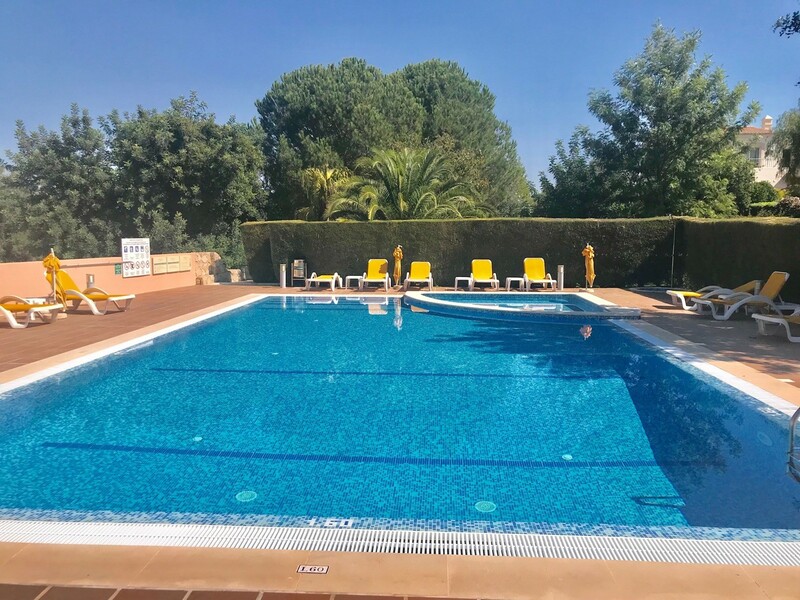 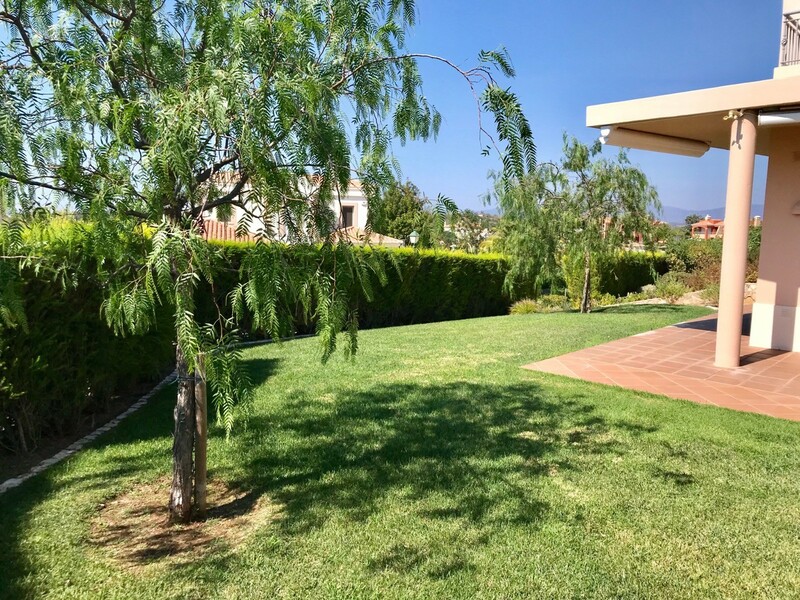 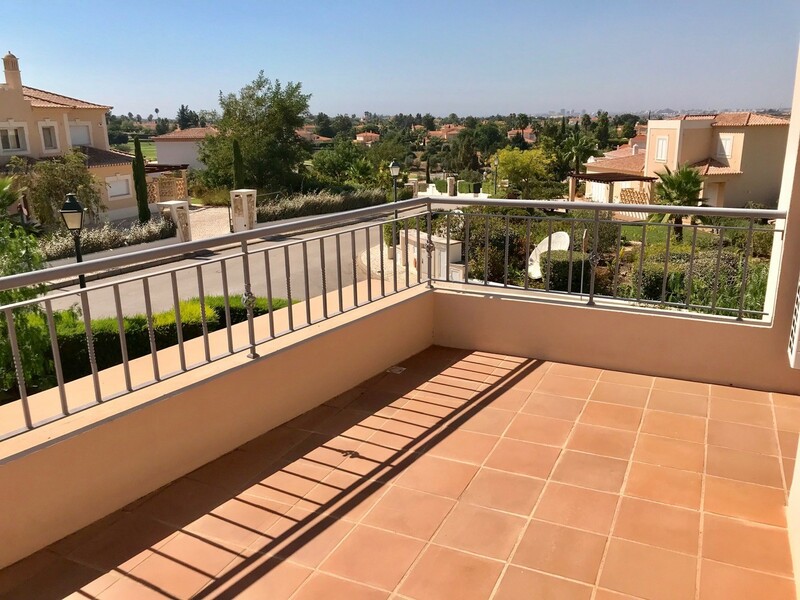 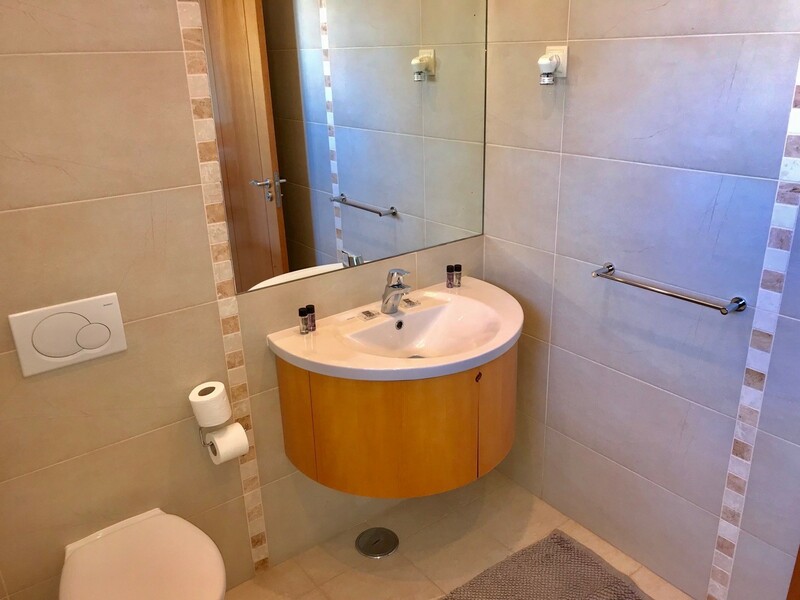 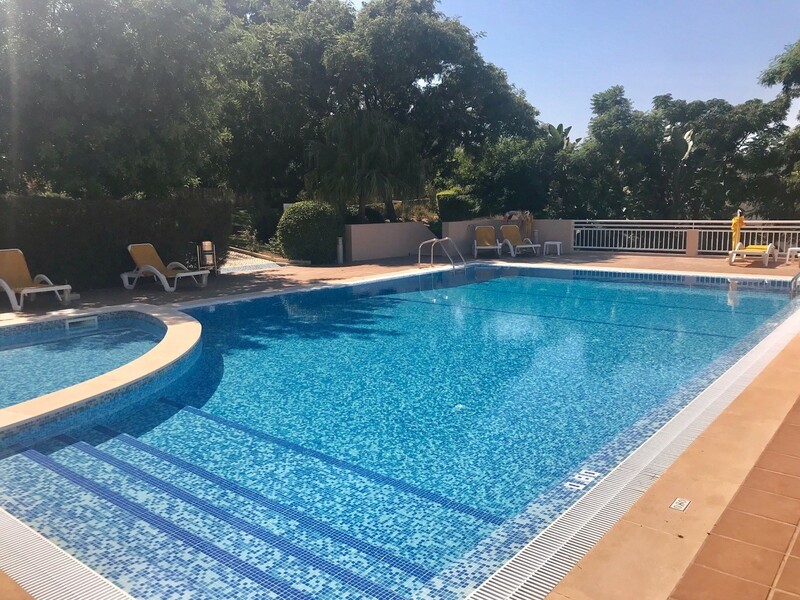 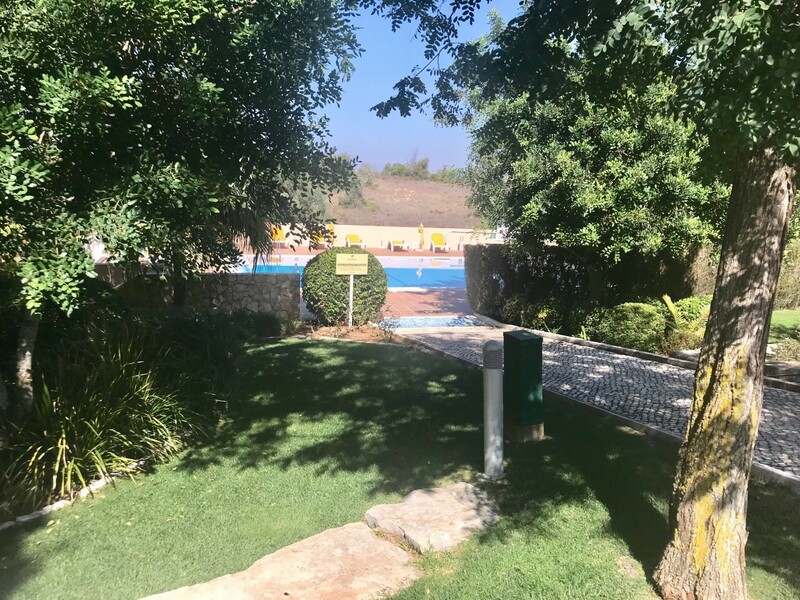 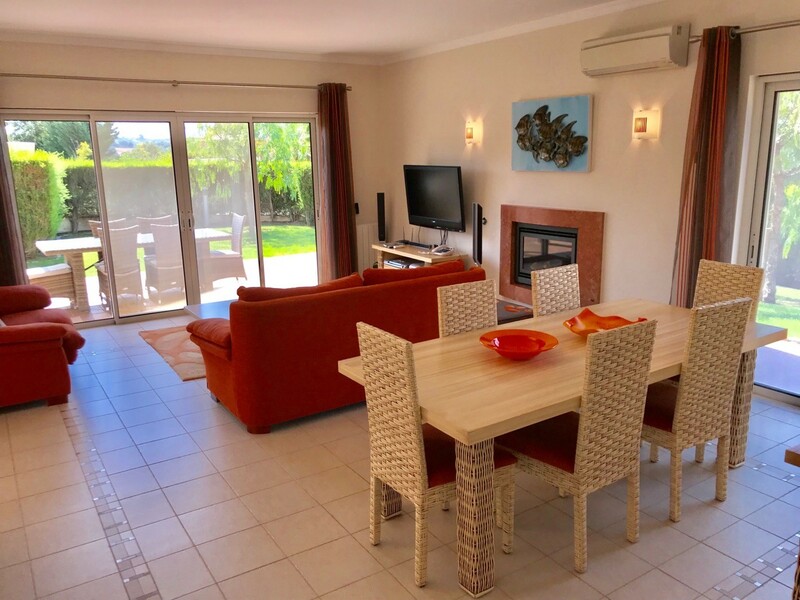 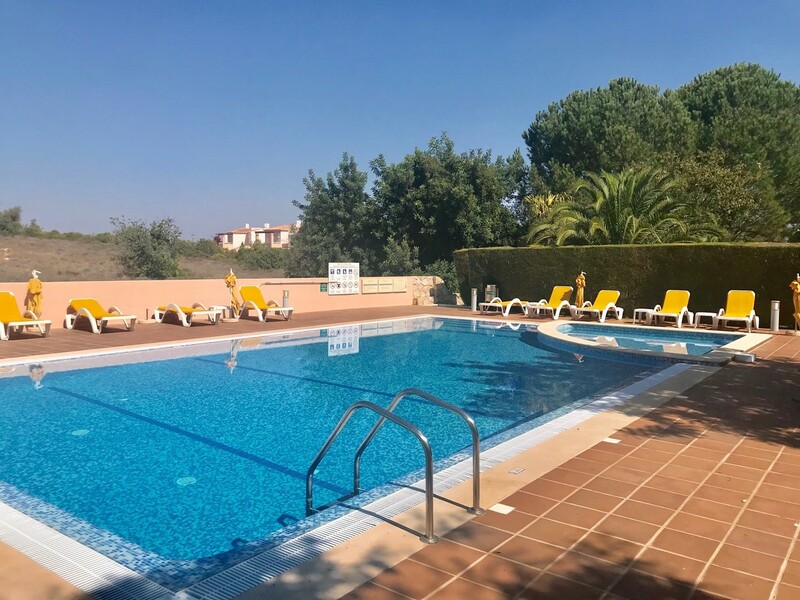 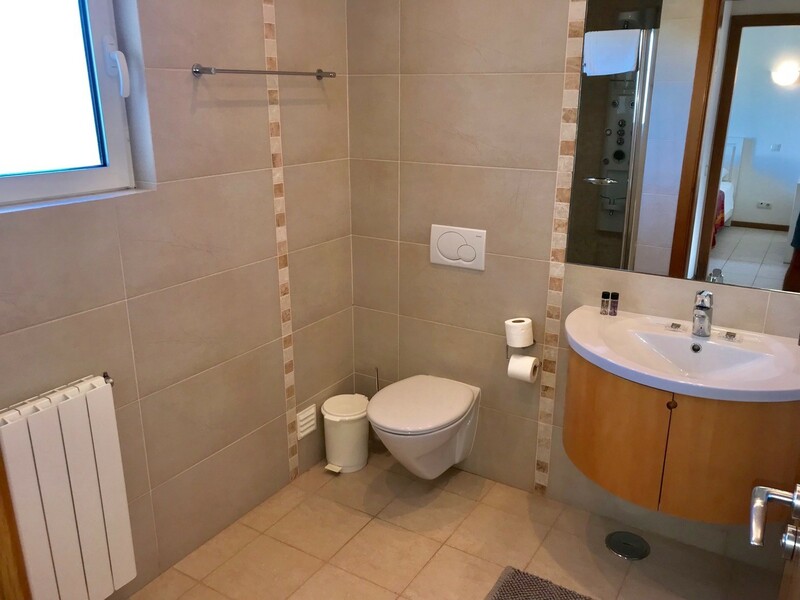 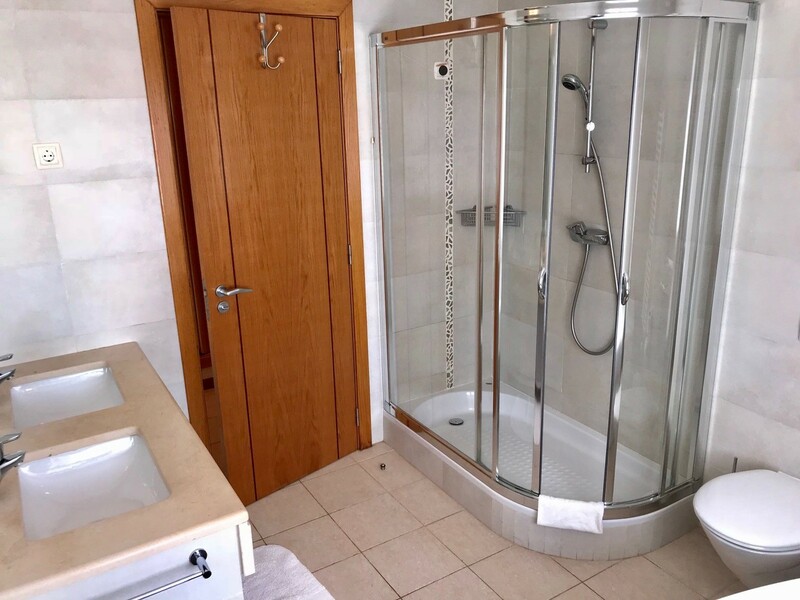 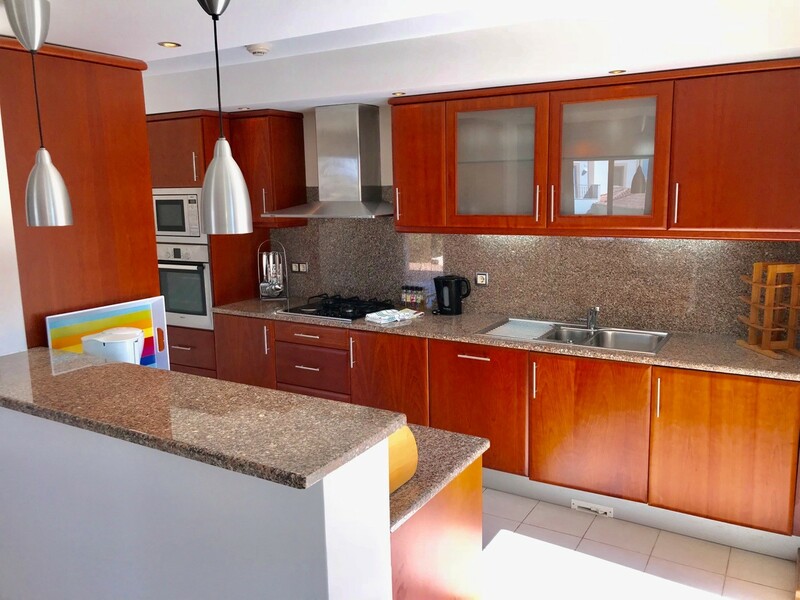 The apartment is ideally situated for activity holidays, such as golf , horse riding, watersports, tennis and game fishing. 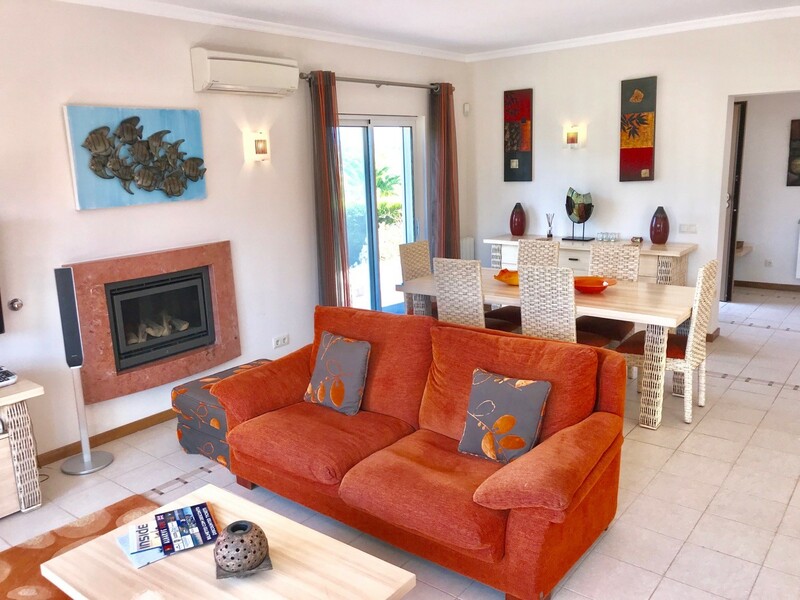 Family holidays on the beach or simply to get away from it all and relax on the sun terrace taking in the afternoon sun. 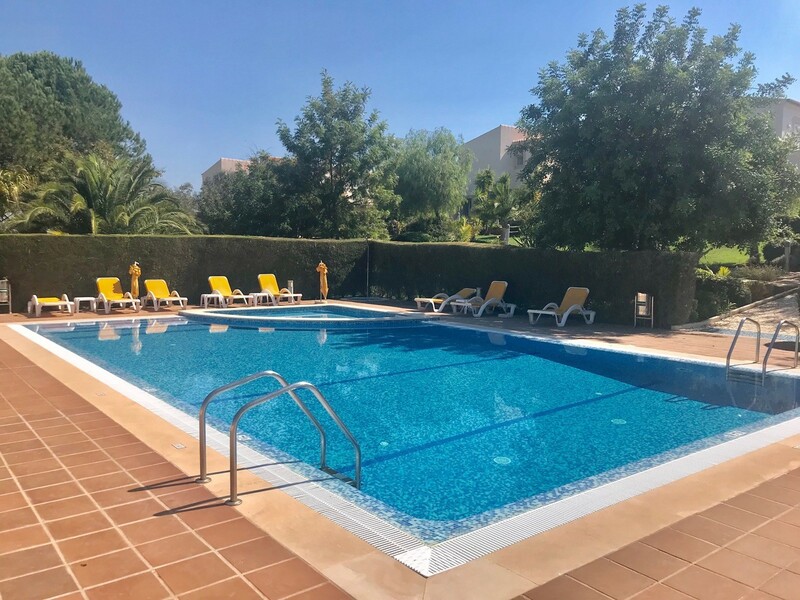 It is particularly suited to families with small children as the communal pool, whilst close to the apartment, is far enough away for peace! 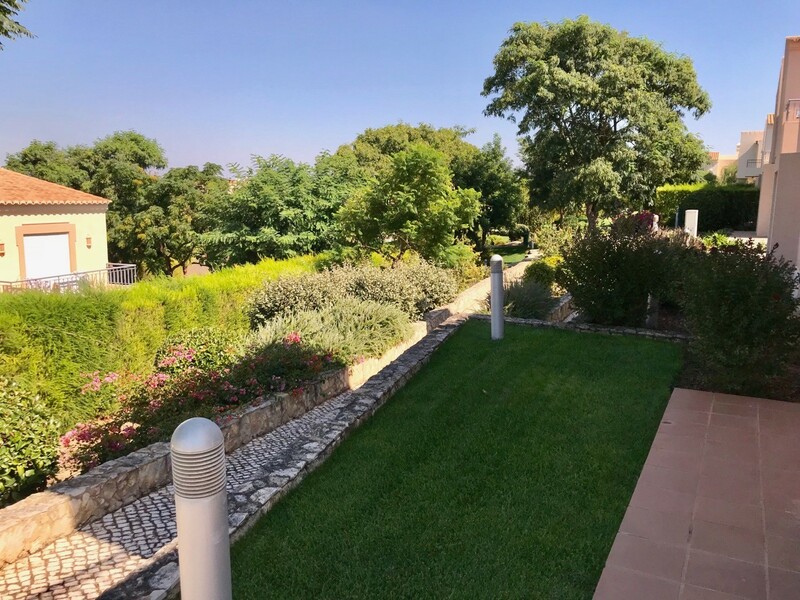 The level of security is also extremely high, with the complex being regularly patrolled by security guards. 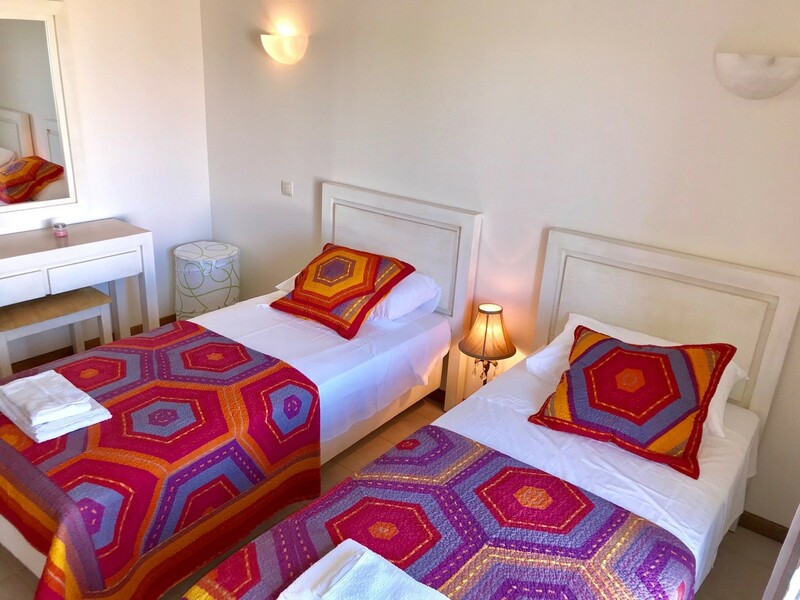 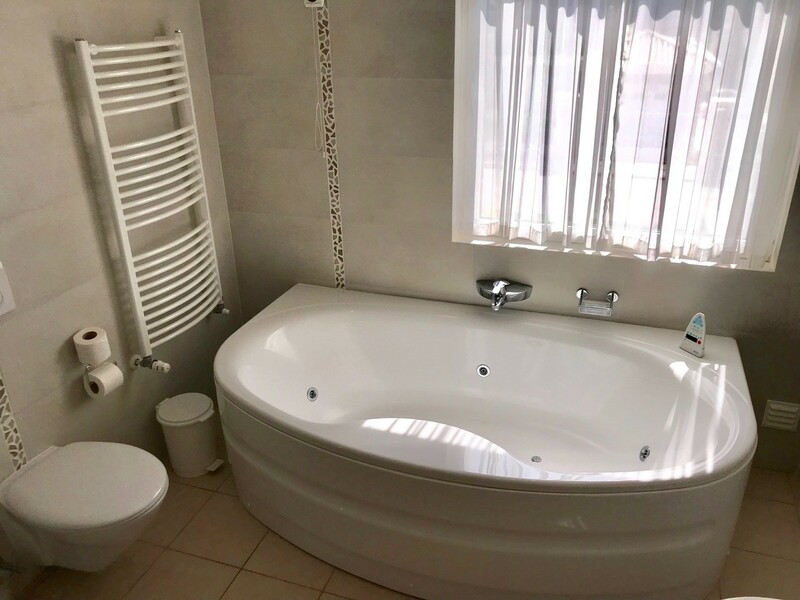 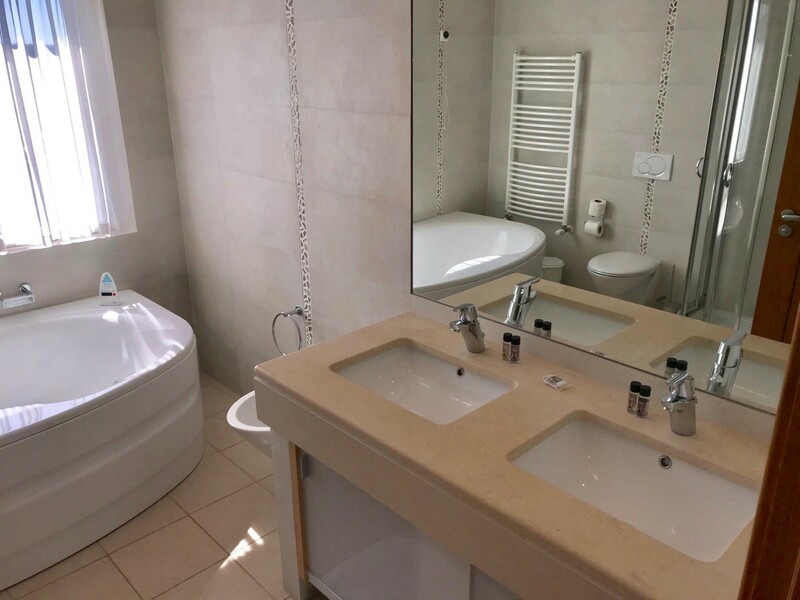 Telephone, air-conditioning, central heating, linen provided, towels provided, safe, sunbed, jacuzzi-bath. 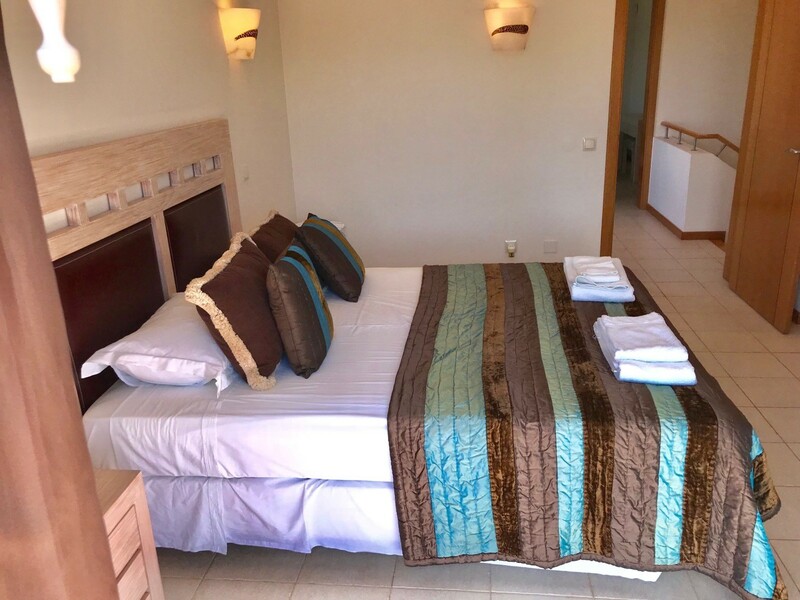 We offer 3 bedrooms but the apartment sleeps a maximum of 6 people. 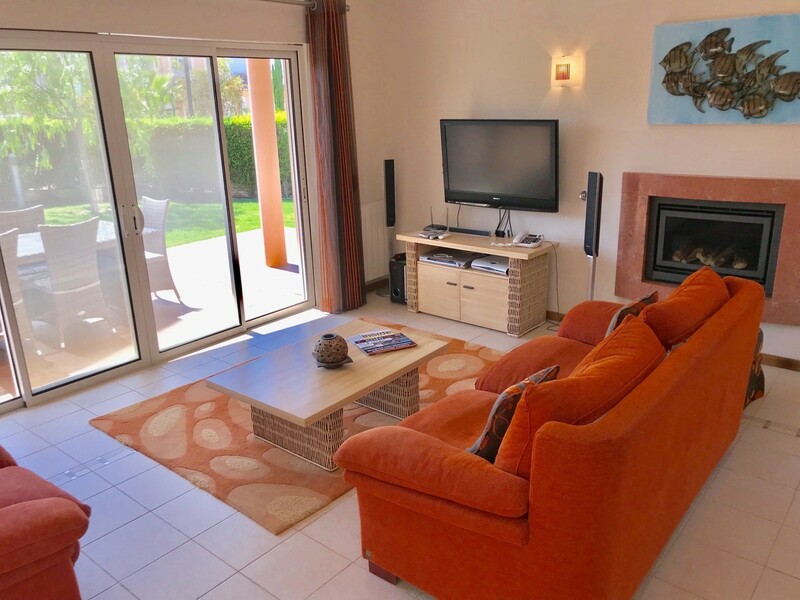 Plasma TV & cable, plus DVD & CD. 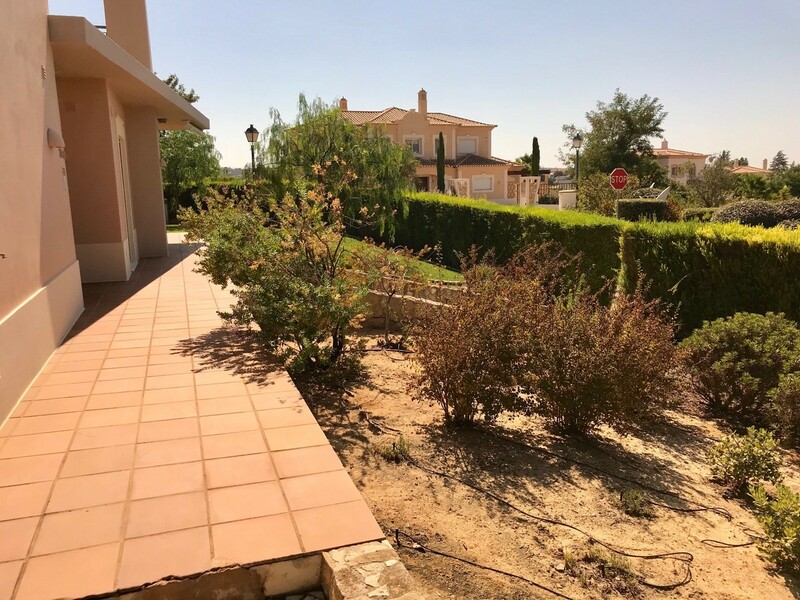 Nice terrace and garden around the house.There is parking outside the apartment. 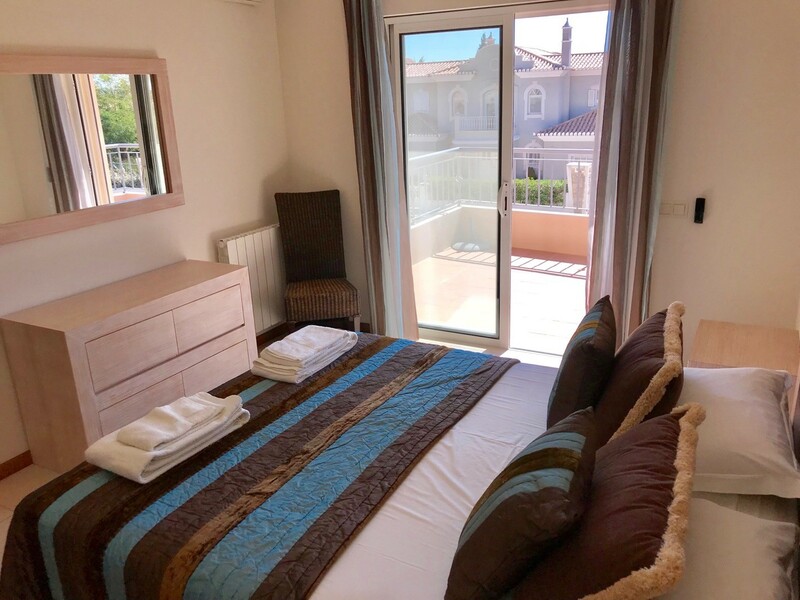 The master bedroom also has a spacious balcony. 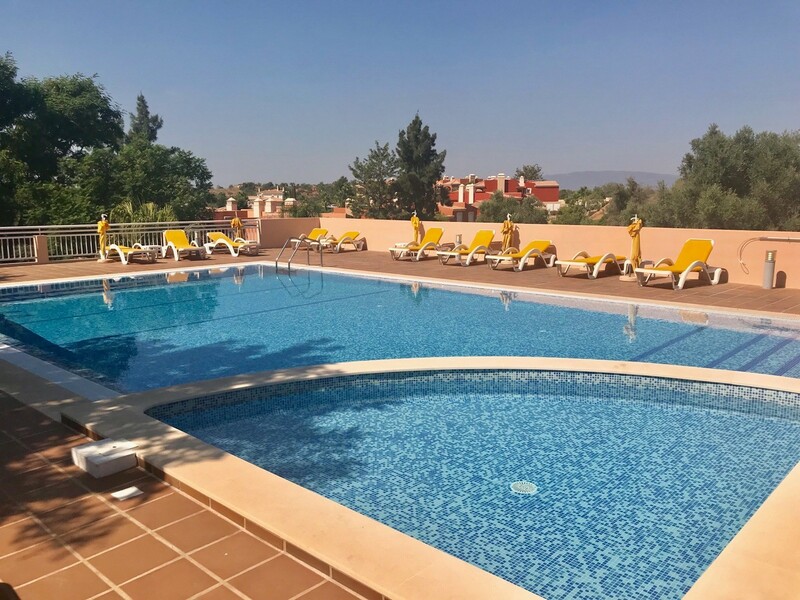 The Swimming pool is 1 minute walk and has facilities.